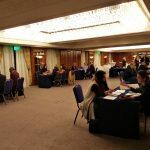 At November 23, 2019, a B2B workshop between Greek tourism professionals (hoteliers, travel agents, representatives from Greek tourism destinations etc.) and Travel Agents, Tour Operators, M.I.C.E. Organizers, Travel Counsellors from Cyprus, will be organized by Respond On Demand Ltd. The event is organized at Hilton Cyprus. 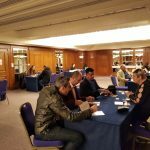 Greek tourism companies will have the opportunity to present their services and establish new business cooperation with Travel Professionals from Cyprus. The event will last for 4 hours and will end up with a cocktail, offering extra networking opportunities to both sellers and buyers. Copyright © RespondOnDemand. All Rights Reserved.